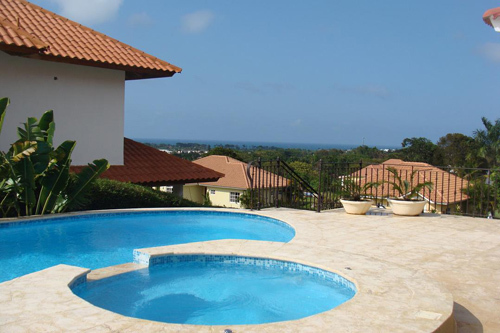 This 5 bedroom luxury Tropical property is priced on outstanding quality and location, not a spiraling speculative market. 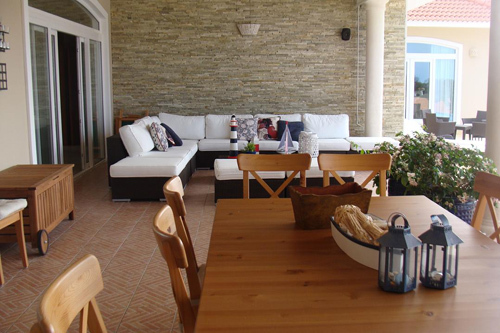 The elegance of this villa is not sacrificed by its relaxed attitude and open floor plan. 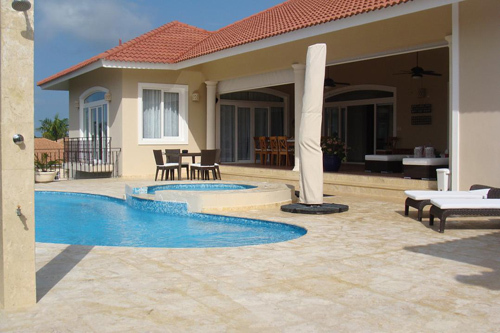 Its interiors harmonize sophistication and laid back Caribbean living with crisp cut coral pool decking, swimming pool and Jacuzzi. 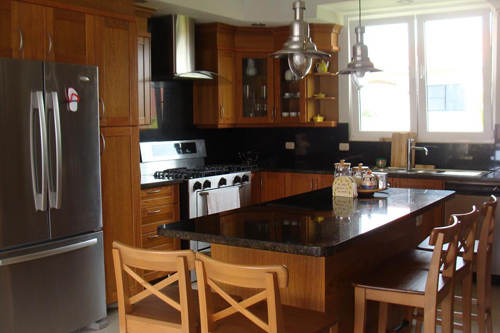 A vintage inspired yet contemporary kitchen with stainless steel appliances features counter tops in rich coal black granite that contrasts with natural painted cabinetry in oak. 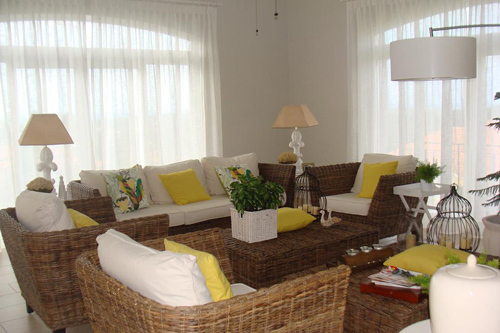 An expansive terrace provides an ample entertaining space or retreat with on one of the oversized couches. All five elegant yet unpretentious bedrooms are tastefully finished. In one bedroom you reach upstairs the loaf for visitors sleep in or private TV. Enjoy playing billiard in the large entertaining room! 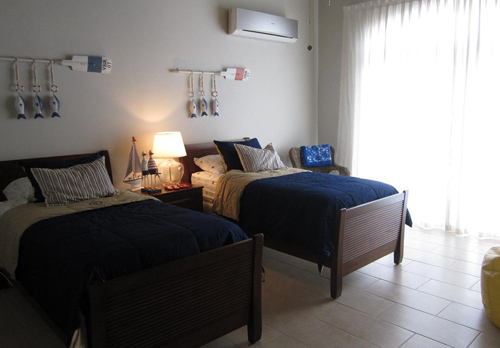 Two of the five bedrooms are independent on the first floor with private entrance and individual kitchenette. 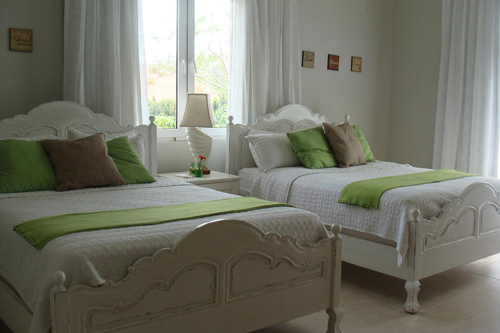 An eclectic mix of local art in serene palettes and vintage pastel colors local photography connect the home to the Caribbean environment. The living and dining area open to terrace for seamless indoor outdoor living. All windows and sliding doors are double glass with PVC frames imported from Germany. 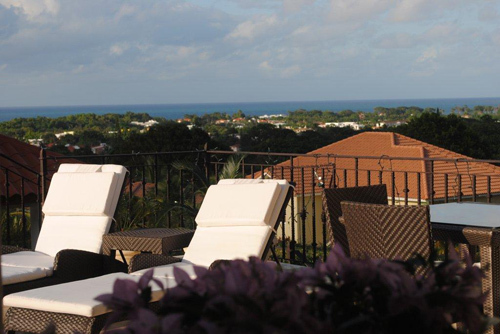 The spectacular ocean view graces the lush gardens. There is double garage with automatic door and direct access to the villa plus extra parking on the lot. 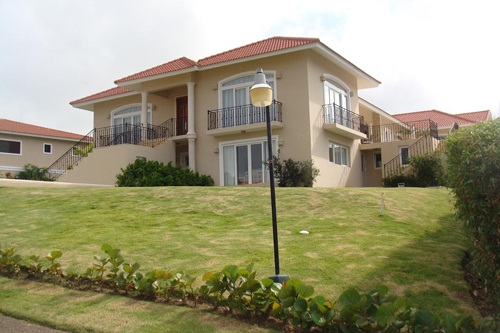 This gated community offers a security service as well as water and electricity around the clock. On-site management and rental service.